Di sela-sela hidup kosong sebagai pengangguran, akhirnya saya mutusin buat mulai nulis review film yang biasanya cuma disematkan secara lisan di depan teman-teman dengan lagak sok tahu. For starting this thing up, I'm gonna make a review of (not so) old, underrated movies first, knowing that I'm not good enough to write about nowadays movies as awesome as other movie reviewers. 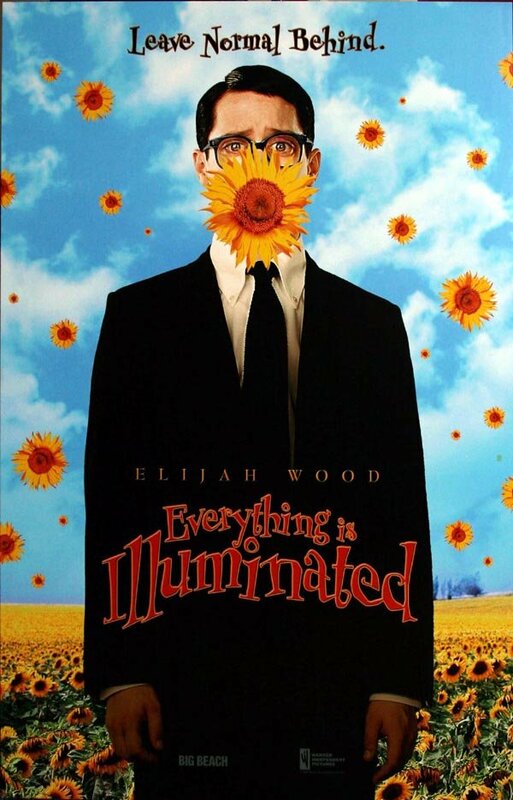 Oke, I begin with Everything is Illuminated . I have already made a review of it in other platform so, but I'm gonna write it again because this movie is awesome. I have read the book before and I think Liev Schreiber has done the adaptation as close as the book told us. Almost every little detail in the book is shown well to fulfill our imagination at their best. The Anderson-esque photography, music, scenery, characters, and the Ukrainian atmosphere when we read the book was delivered perfectly, exceeded my expectation though. The performance of the casts, especially Elijah Wood acted as Jonathan was exceptional, perfect nerd. Physically, Wood is nowhere near as gentle as Safran Foer himself, but the way Lord of the Rings star delivers the role is widely accepted as the fit Jonathan Safran Foer from the book version. Like the way readers had imagined before. His relation with Alex, is a complicated yet romantic brotherhood, even with language barrier between them. Hütz himself is a singer of a Ukrainian band Gogol Bordello, surprisingly made Alex come alive. This tall young man was so obsessed with American dream, and extremely excited to guide Jonathan in his journey. 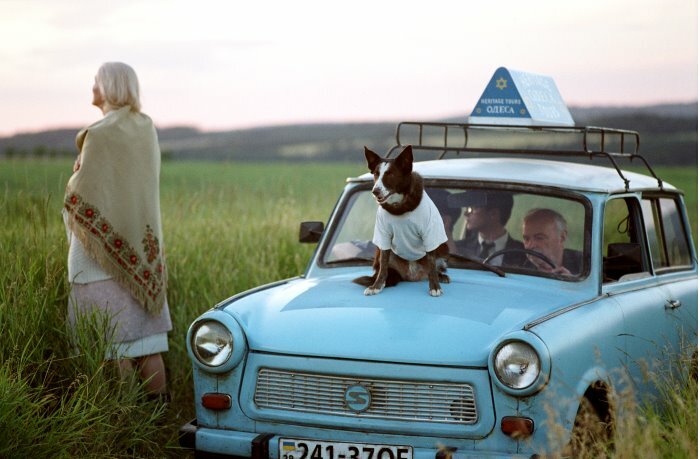 With Alex' grandfather driving his old car and Sammy Davis Jr. Jr. , a dog that couldn't stop barking, those four formed a fellowship then traveled across Ukraine to find someone related to Jonathan's grandfather. Kinda reminds me of another fellowship. The journey seems likely to fail apart in the first place after Jonathan didn't meet Alex' expectation, vice versa. But, there's something unique that make you curious to intensely keep following the rest of the story : the grandfather's controversial decision to take part in this journey and his coolness in solving the mystery for himself. This movie invites the audience to witness one of the pivotal plot of Europe's brutal history, Schreiber also made audience understand the chaotic discomfort that resulted from the war, even in a small village in depth of Ukraine. Maybe the way the movie told us about Jewish culture and holocaust history wasn't really there and left us bunch of plot holes, but overall the movie is still delightful to watch (even if you've already read the book). Special mention for the music department, you guys did a very good job.